READY NOW..............FROM CHAMPION AND GRAND CHAMPION BLOODLINES Pedigree Colourpoint exotic persians have forever blue eyes and are white. with colour just on their points. ears. tail. paws and mask. We have. Marie. Blue cream tortie tabby persian girl..AVAILABLE Berlioz. Blue tabby boy long haired exotic persian. SOLD Duchess. Blue tabby persian girl..AVAILABLE Toulouse. 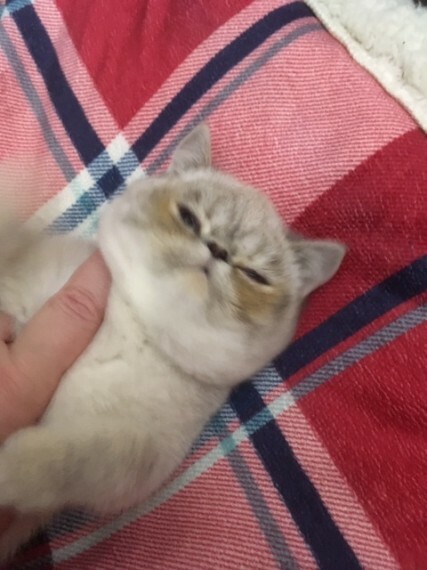 Blue tabby boy short haired exotic persian..SOLD FULLY VACCINATED AND MICROCHIPPED PKD NEGATIVE BEAUTIFUL PURR BOXES WHO HAVE BEEN GIVEN THE BEST START IN LIFE AND ARE LOVED AND CUDDLED EVERY DAY INDOOR HOMES ONLY PLEASE Our kittens live in the front room with us playing underfoot. along with their parents. Both parents can be seen. Mum is a GCCF registered shorthair blue cream tabby exotic and dad is a GCCF registered shorthair blue tabby exotic. Our kittens will be free from PKD as both parents come from clear tested bloodlines .Anne Harrop at Shakirah and Barbara at Pennydown.. 150 non.refundable deposit reserves your kitten The kittens will be GCCF registered under my prefix Coloura and will come with an excellent pedigree of champion and grand champion bloodlines. Kittens will be non active. however active registration may be considered to the right home. They will be fully vaccinated. microchipped. wormed and treated for fleas as a precaution. All kittens are for indoor homes only.